Thunder has struck in rural Aberdeenshire this morning – as much of the region basks in a heatwave. Ballater and Braemar have both seen thunder, lightning and rain this morning – despite the Met Office predicting temperatures of 25C in the region today. Thunder in Ballater this morning. 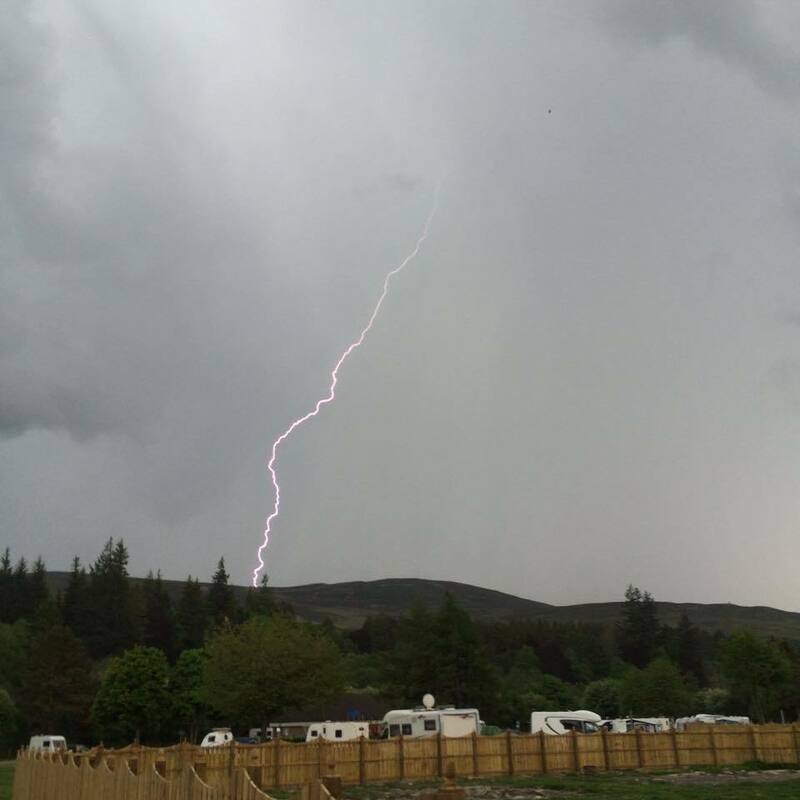 Credit: Ballater Caravan Park. This striking image was taken by staff at the newly reopened Ballater Caravan Park this morning and posted to their Facebook page. Aberdeenshire and much of Moray and the Highlands has enjoyed scorching hot weather this week – which reached 24.1C in Braemar yesterday. Last night Met Office meteorologist, Alex Burkhill, said stormy weather would hit the central Highlands today – but temperatures would remain high. He added rain showers could be seen across the north-east but that there would still be “a good deal of sunshine”.